I consider myself a fairly intelligent person. 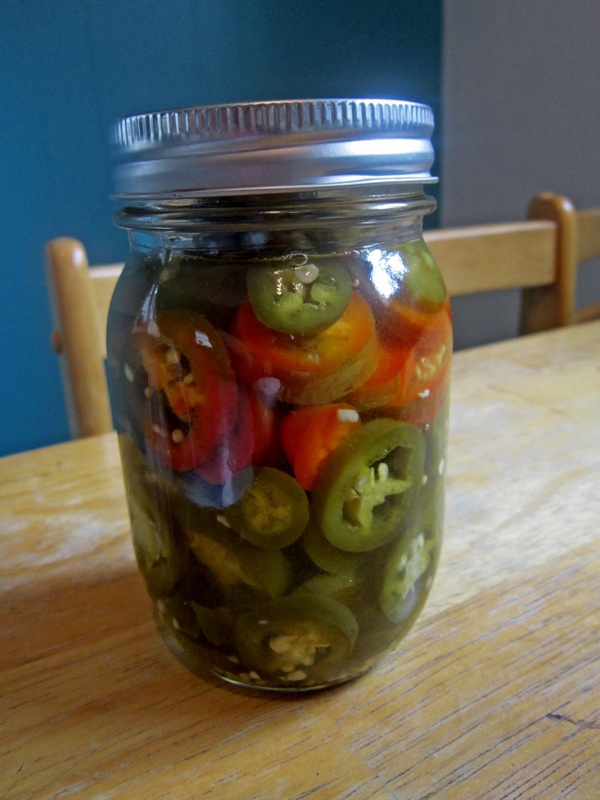 But a couple weeks ago, when I made a huge batch of pickled jalapenos……I seriously questioned my IQ. I promised that I would be putting more of my recipes up. This recipe was given to me by a coworker. This coworker is always giving me cooking advice and bringing me samples of his food. He and is wife are food fanatics. 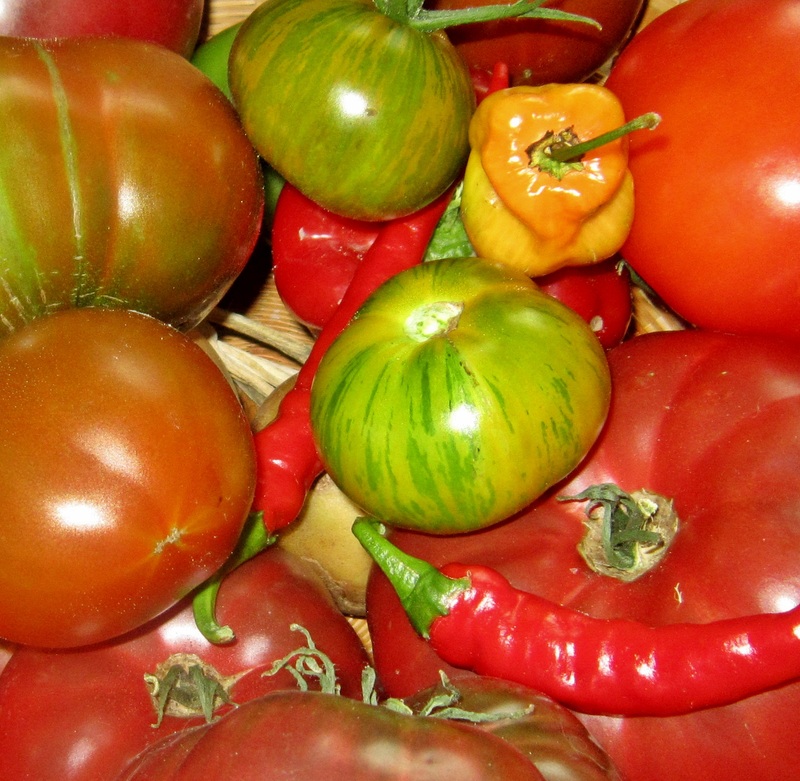 I love to trade recipes and produce from our gardens. These pepper rings are for the refrigerator only. I don’t know if I would try canning them for storage because a) it has oil in it and I’m not sure how that works with canning and b) a water bath would probably make the peppers lose some of their crunch. These are very crispy and you can use them to top nachos, enchiladas, pizza, or just eat them right out of the jar like I do! I picked up banana peppers (a mixture of hot and mild) from my farmer’s market for 1.79 a pound. Feel free to halve the recipe if you don’t have enough fridge storage. This is so easy; you will be amazed. Slice the peppers into rings. I kept all of my seeds in them, but you can take them out if you want them less spicy. In a large bowl or container, add all of the ingredients and mix very well. 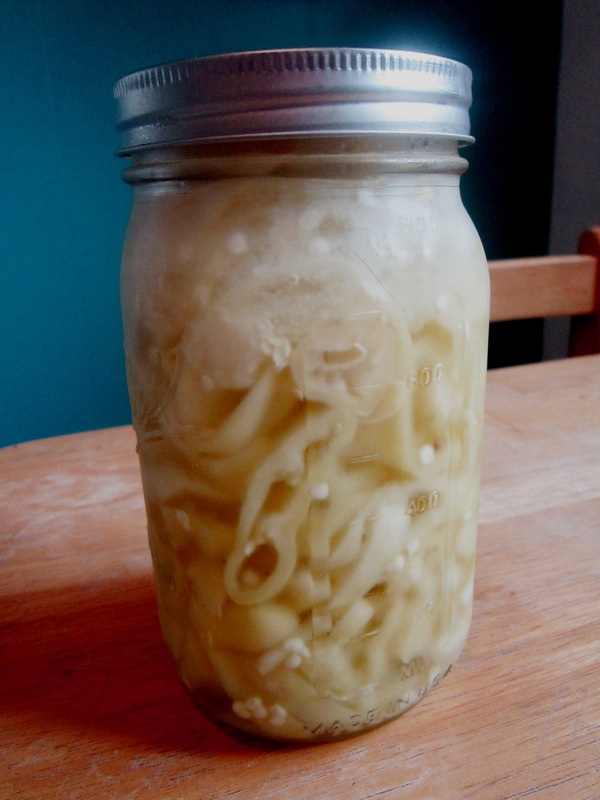 Put the container in the fridge and let it sit overnight to absorb flavor. Stir it every so often, I just did it once before bed and once in the morning. Clean out a bunch of glass canning jars. Give the pepper mixture a good mix, and stuff those jars with the peppers. Make sure you get some liquid in there too, to keep them moist. You can keep the jars in the fridge for up to 2 months (maybe longer) but they wont last that long! *expect the oil to settle at the top of the jar after a while in the fridge. The oil gets cold and kind of forms a jelly. Just give it a good hard shake before you open the jars and it will be fine.